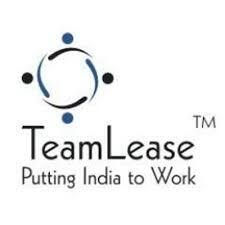 Team Lease Services Ltd notched up volume of 5191 shares by 10:38 IST on BSE, a 8.49 fold spurt over two-week average daily volume of 612 shares. The stock rose 0.59% to Rs.2,969.15. Volumes stood at 1009 shares in the last session. Centrum Capital Ltd registered volume of 6.08 lakh shares by 10:48 IST on BSE, a 5.93 fold spurt over two-week average daily volume of 1.03 lakh shares. The stock rose 1.03% to Rs.34.40. Volumes stood at 25135 shares in the last session. Mindtree Ltd saw volume of 1.5 lakh shares by 10:49 IST on BSE, a 5 fold spurt over two-week average daily volume of 30032 shares.  The stock increased 1.06% to Rs.970.00. Volumes stood at 56731 shares in the last session. HDFC Bank Ltd witnessed volume of 4.65 lakh shares by 10:49 IST on BSE, a 3.79 times surge over two-week average daily volume of 1.23 lakh shares. The stock dropped 0.57% to Rs.2,277.00. Volumes stood at 40896 shares in the last session. Himadri Speciality Chemical Ltd clocked volume of 70777 shares by 10:49 IST on BSE, a 2.52 times surge over two-week average daily volume of 28130 shares. The stock gained 3.54% to Rs.119.85. Volumes stood at 17285 shares in the last session.